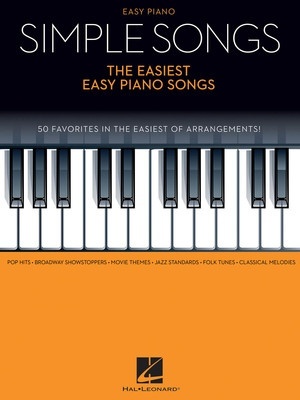 Play 50 of your favorite songs in the easiest of arrangements! Enjoy pophits, Broadway showstoppers, movie themes, jazz standards, folk tunes, and classical melodies presented simply, with lyrics. You'll find something for everyone! Songs include: Beyond the Sea • Castle on a Cloud• Do-Re-Mi • Happy Birthday to You • Hey Jude • Let It Go • Linus and Lucy • Moon River • Ode to Joy • Over the Rainbow • Puff the Magic Dragon • Smile • Star Wars (Main Theme) • Tomorrow • When I Fall in Love • Yesterday • and more.